Here's Jonny! Oh so much fun. We've featured plenty of YouTube video versions of movies turned into 8-bit video games, but how about one you can actually play? 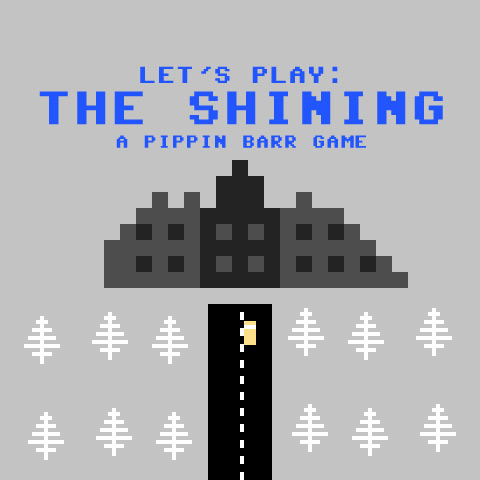 Game maker/critic Pippin Barr has created a tiny browser game called Let's Play: The Shining, which is kind of like an 8-bit version of Kubrick's The Shining. 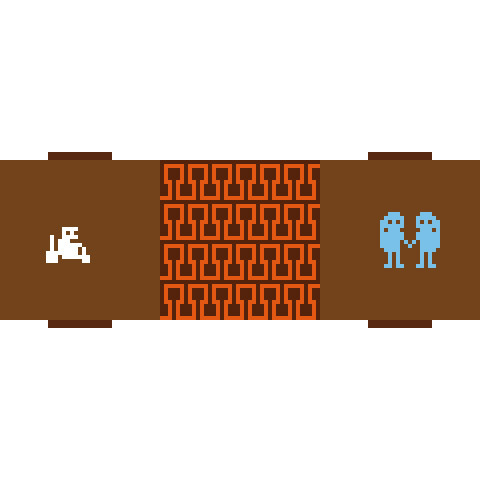 He takes you through various scenes of the movie and you get to play through most of it (the maze, the hotel, riding the tricycle) complete with retro sound effects. It's pretty rad. It's just an experiment and fan-made game creation, but it is unique and worth a quick play, especially if you're a big fan of the movie. Description from the site: All work and no play makes Jack a dull boy! All work and no pllay makes Jack a dull boy! All work and no play makes Jaca dyll boy! All work and no play makes Jack a dullboy! All work and no plaay makes Jack a dull boy! Game designer/creator Pippin Barr explains the game was "written in Haxe using the HaxeFlixel library. The music and sound effects in Let's Play: The Shining were made with a combination of bxfr, Bosca Ceoil, and Audacity. The graphics were made in Pixen." Based on Stanley Kubrick's The Shining, which was based on Stephen King's The Shining. Head to Pippin Barr's site for more updates about the game, including this post where he says "I’m glad that many people have had a look at it." Thanks for the share, AB. The best descriptor I can come up with is "cute". Not bad, but a little slow, and literally zero skill necessary. Next best thing to watching the Shining at work I guess.